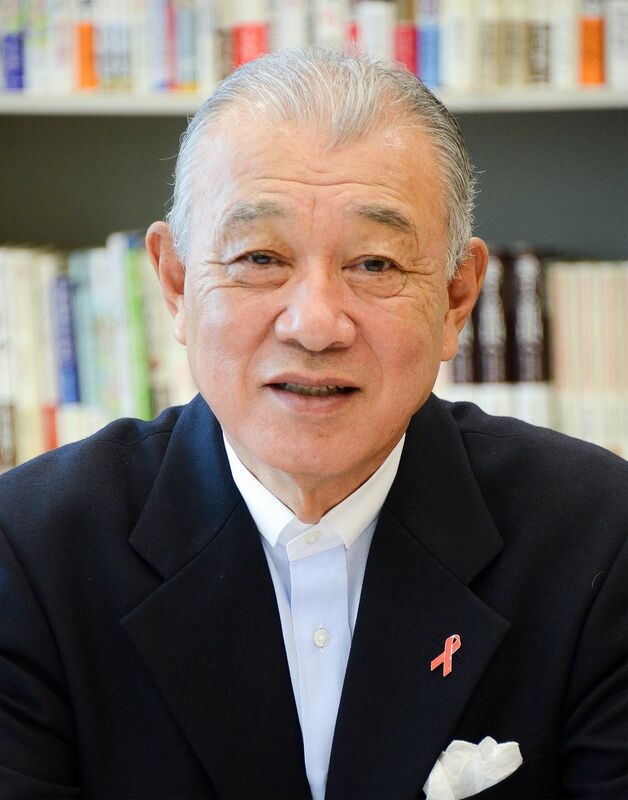 On January 16 2019, the government of India announced that the International Gandhi Peace Prize for 2018 would go to Nippon Foundation Chairman Sasakawa Yōhei, for his efforts toward eradicating Hansen’s disease (leprosy) in India and elsewhere around the world. Nippon Foundation Chairman Sasakawa Yōhei. Sasakawa, now 80, has worked for more than half of his life to combat Hansen’s disease and the social stigma associated with it. Serving in recent years as the World Health Organization’s Goodwill Ambassador for Leprosy Elimination, he has focused in particular on India, which has the world’s largest population of sufferers of the disease, making repeated visits to the colonies where they were historically segregated and promoting measures to restore their economic autonomy and combat prejudice against them in society. For more information on this award and 3 others with Gandhi in their name see: http://www.trueheroesfilms.org/thedigest/awards/gandhi-peace-prize-india. On 12 March, the Malaysian Bar Association has come out – surprisingly strongly and unanimously – in support of Charles Hector, who is facing a legal suit by a Japanese company after he highlighted the plight of Burmese workers at the Malaysian plant of Asahi Kosei. As this motion is a most interesting illustration of how the UN Human Rights Defenders Declaration can be invoked at the national level, I add the full text, taken from http://aliran.com/5088.html. A good example to follow by other bar Associations around the world and to be promoted by the International Bar Association. Full text of the Motion regarding the legal suit against Charles Hector Fernandez:. 5. The information he received was with regards to alleged violations of human rights and workers’ rights and alleged unfair treatment of the said workers. 6. Noting also that Charles Hector did firstly send an email on 8 February 2011 to the said company about the information received, giving a reasonable opportunity for the company to clarify matters, and after waiting for a reasonable time for a response, he did cause the information received to be posted on the Charles Hector Blog at http://www.charleshector.blogspot.com. 7. A media statement concerning the human rights violation of the said workers was also issued on 11 February 2011, whereby the number of organisations and civil society groups that jointly issued the said statement now stands at more than 80. 8. In response, the company threatened legal proceedings and thereafter commenced a suit on 14 February 2011 against Charles Hector, a person who had merely highlighted the alleged human rights violations. Such action is deplorable, and may put fear/deter and/or have a negative impact on other human rights defenders, organisations, ‘whistle blowers’ and other individuals who come into information and/or allegations of such violations and cause them to refrain from acting on such information. This will certainly also cause greater injustice especially when these human rights violations affect the most marginalised in our society, including workers and migrant workers, who do largely depend on others to come to their defence and assistance. 9. Noting also that public interest also places an obligation on any person that knows of any human rights violations to not just stand by but to take the necessary steps to see that such violations end, and to ensure that the victims do get justice. This principle is also recognised, and is also evident in many laws in Malaysia, including the Whistle Blowers Protection Act 2010, Human Rights Commission of Malaysia Act 1999, and Criminal Procedure Code. 12. Without touching on the validity and/or sustainability of the cause of action and/or the right of the company to commence the legal suit, in the interest of justice, recognising also the right to freedom of expression and/or opinion, respecting also the inherent principle that encourages persons having any information about alleged violations of rights to disclose it, it is felt that it is best that the company does not continue to go after the ‘whistle blower’ but rather to commence the necessary investigations and do the needful to ensure that all rights of workers that work in the company are not violated, and justice is upheld. B. That the Malaysian Bar do the needful research and submit proposals for the enactment of new laws and/or the amendment of existing law that will protect all ‘whistle blowers’ and human rights defenders that highlight human rights violations allegedly propagated by state and non-state actors against persons in Malaysia, both from the perspective of civil and/or criminal liability having regard, amongst others, to the United Nations Declaration on the Right and Responsibility of Individuals, Groups and Organs of Society to Promote and Protect Universally Recognised Human Rights and Fundamental Freedoms.